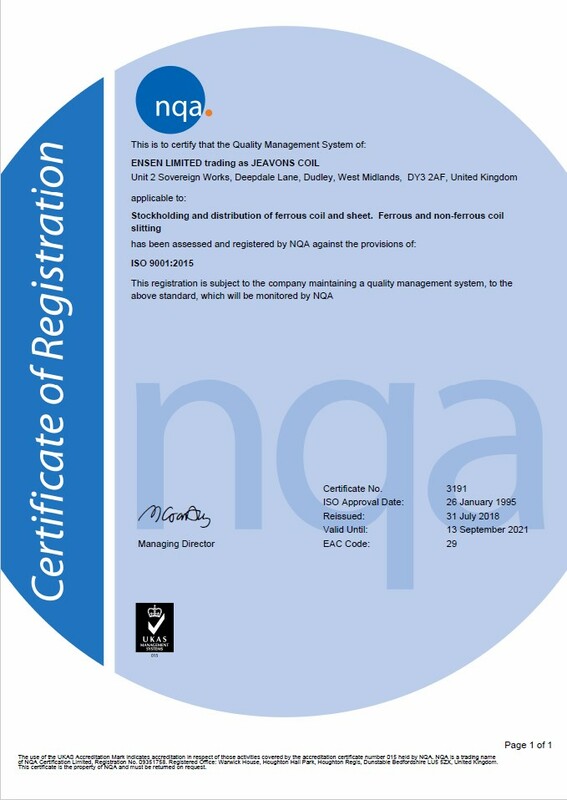 We are a privately owned steel stockholder and specialist steel service centre within the Hill Steels group of companies with a joint turnover of over £30 million per annum and some 40 years experience in the steel industry. We are committed to supplying our customer base with a first class product, on time, at competitive prices. 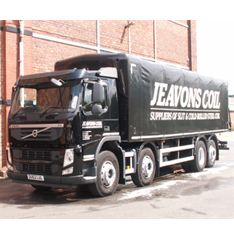 We specialise in `just in time` deliveries to the automative industry, construction and general engineering sectors. We also stock structural steel grades conforming to EN10025-2:2004, S235, S275 and S355. Other grades are available by request. We stock Cold reduced from 0.5mm to 3mm conforming to EN10130:2006 in grades DC01, DC03, DC04, DC05 and DC06. 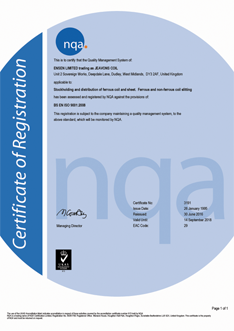 We are fully BS EN ISO 9001:2008 registered.